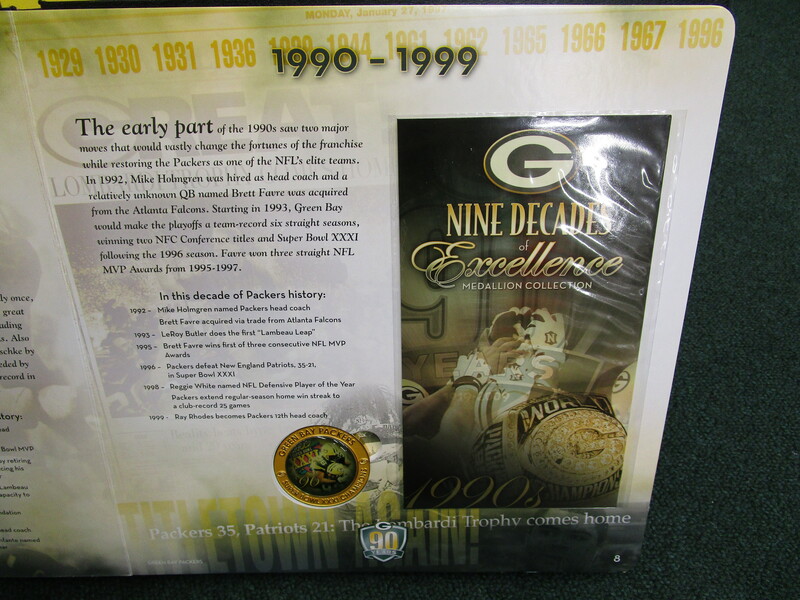 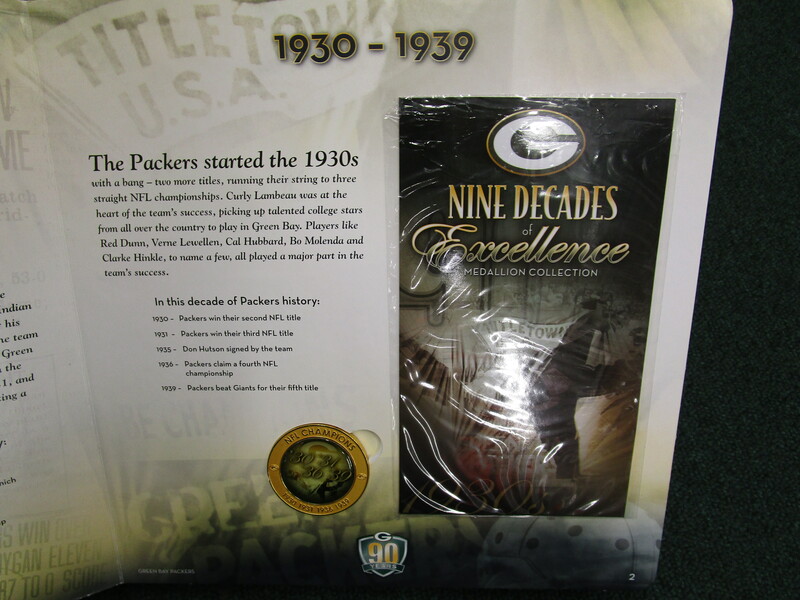 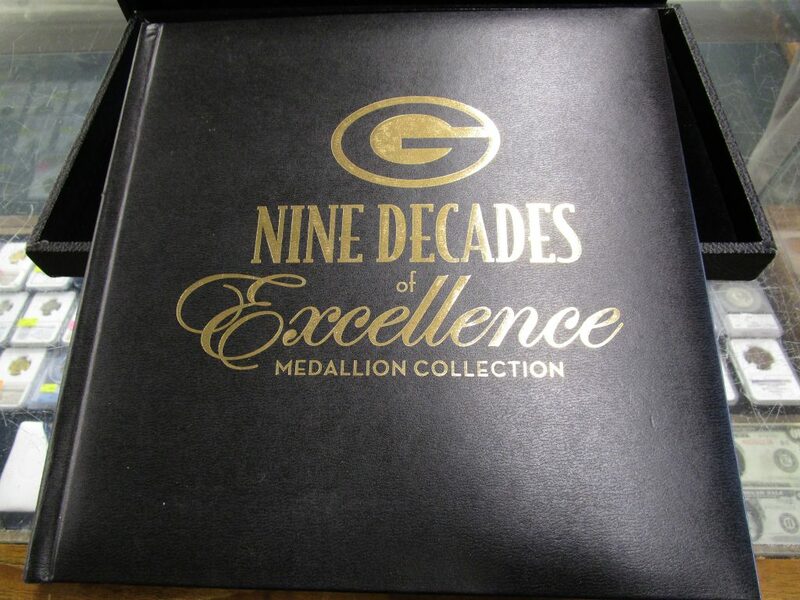 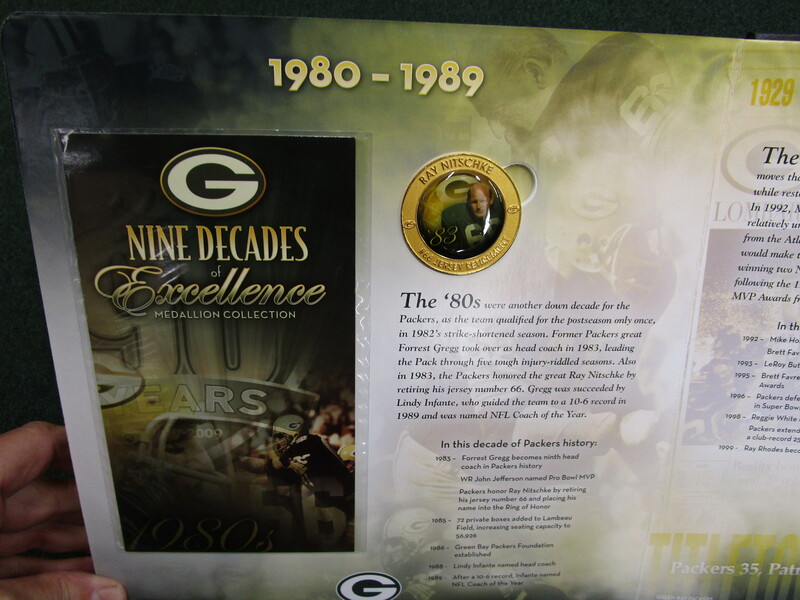 We are offering this 2009 NFL Properties Licensed "Green Bay Packers 9 Decades Of Excellence Medallion Collection". 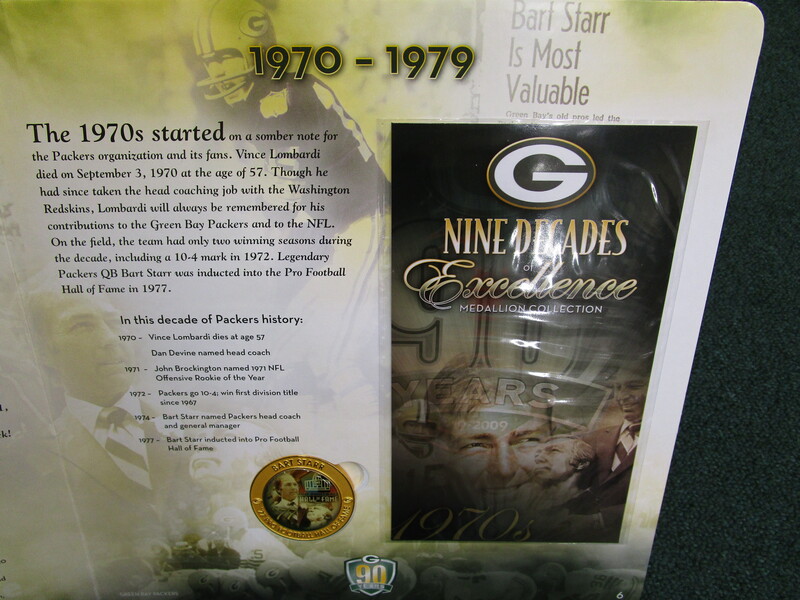 THis was an offering by the Green Bay Press-Gazette newspaper only available in the Northeastern Wisconsin area. 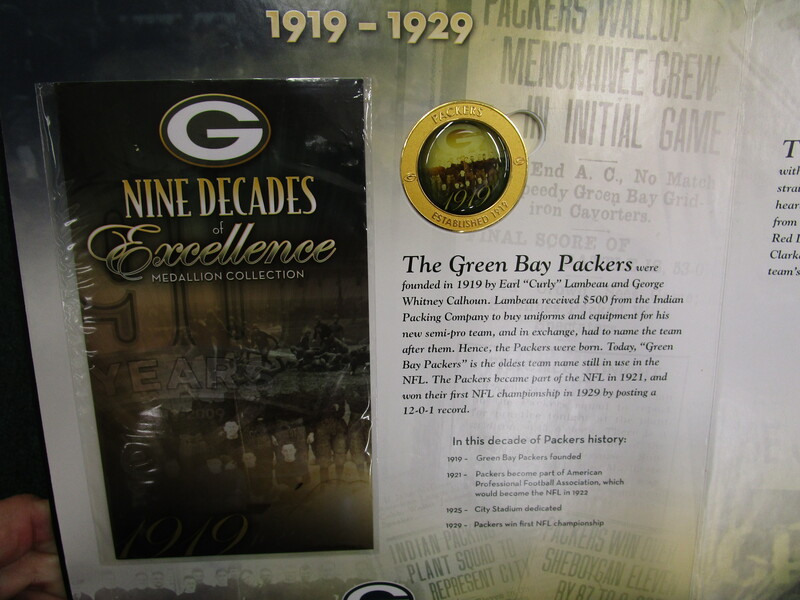 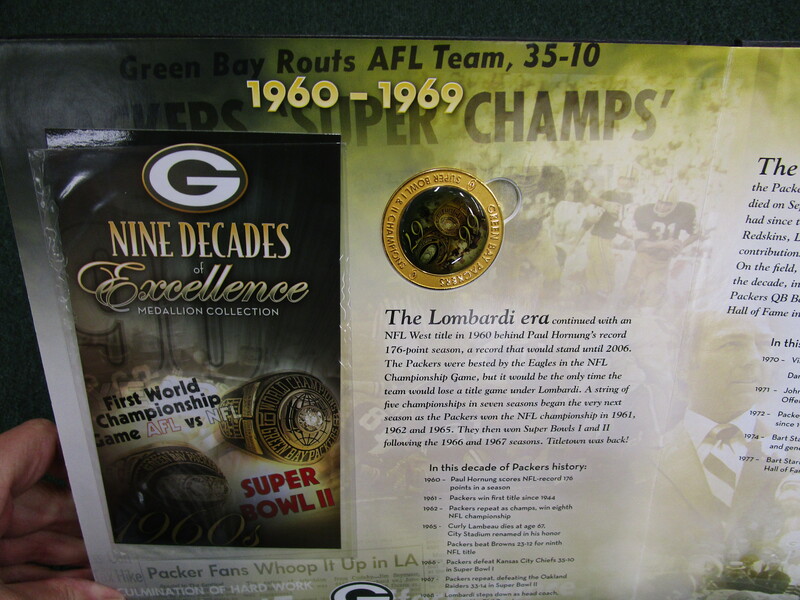 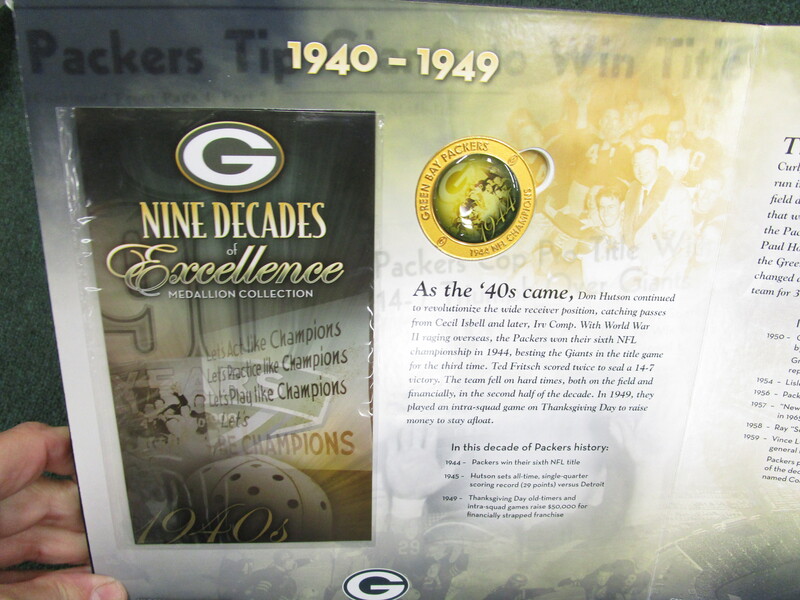 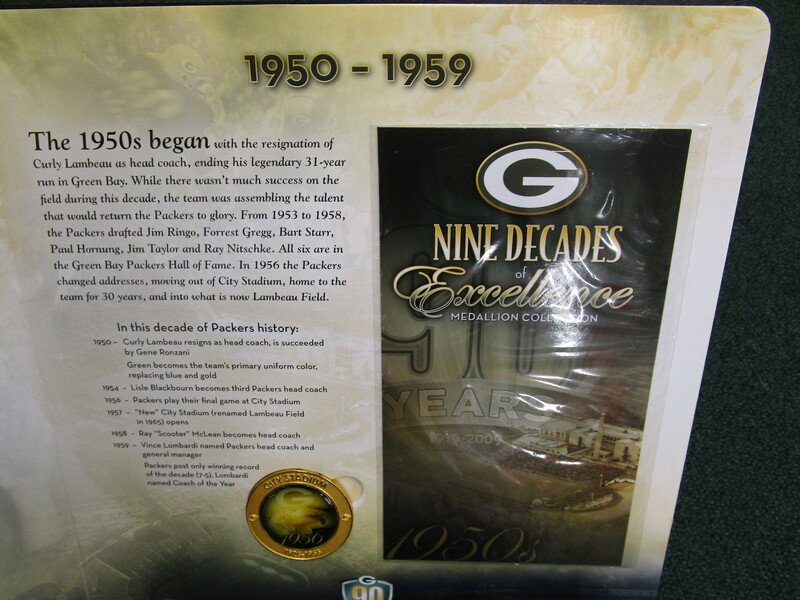 The collection breaks the Packers History into decades and each decade has its own coin and historical info. 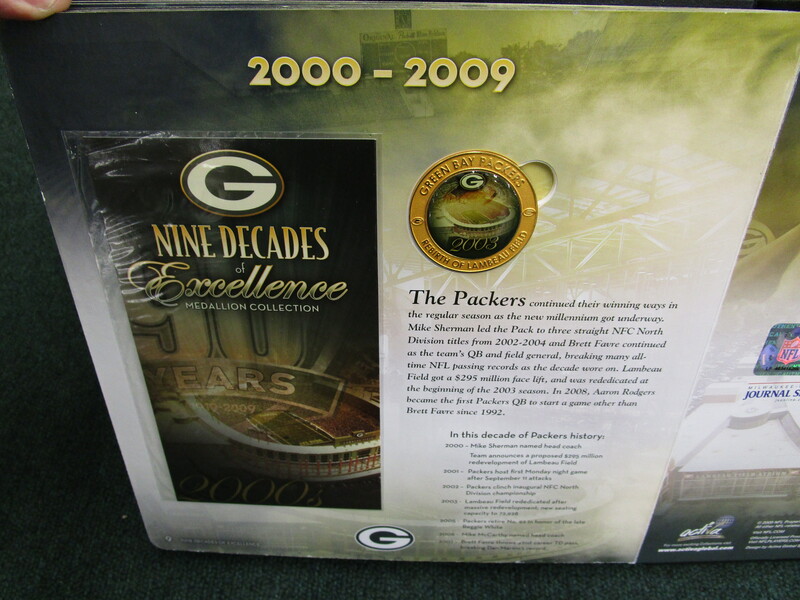 Hardcover Bound Book is in Excellent Condition.